PASADENA, CA—Luxury bath products in a luxury setting. Lather is bringing a custom line of bath amenities to the Four Seasons Resort Hualalai in Kailua-Kona, HI, made simply with the island’s natural treasures. 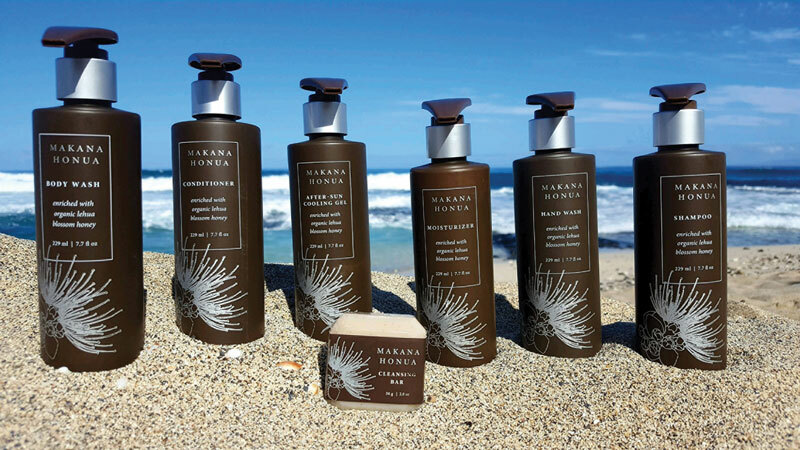 Rooted in wellness, Lather’s new line, Makana Honua, translates to “Gifts of the Earth,” a fitting name given the natural ingredients it features indigenous to the Hawaiian landscape. The line includes shampoo, conditioner, body wash, moisturizer, hand wash, after-sun cooling gel, bath salts and a cleansing bar, all of which (excluding the bath salts) can be purchased at the resort’s spa. 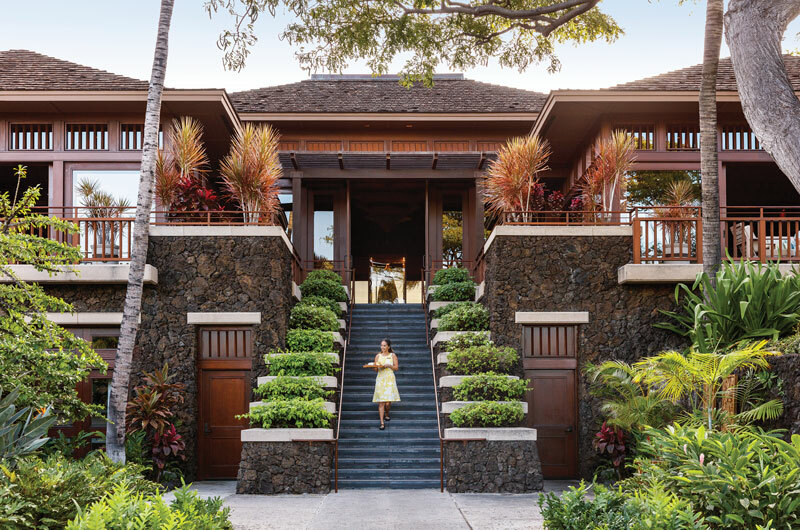 “Beyond the unparalleled levels of service and experiences offered by the Four Seasons Resort Hualalai, the location of the resort offers an abundance of nutrient-rich ingredients found both on land and at sea from which we were able to develop holistic products from,” Hoyt said. Inspired by Ahupua’a—a geological concept of collecting resources found high in the mountains and down in the sea—the collection tells Hualalai’s story through ingredients found just outside the hotel’s doors. Essential oils, botanical extracts and ancient Hawaiian remedies make up the new line, which features organic Lehua blossom honey (an indigenous plant to Hawaii Island). “The Lehua blossom is synonymous with the island as it was one of the first plants to grow from lava rock. The blossom was made into a honey, which is a natural humectant that draws moisture into the skin and hair,” Hoyt said. The line also incorporates ground Kona coffee. “Kona coffee culture is deeply rooted throughout the resort. Among its many natural benefits, Kona coffee provides antioxidant and exfoliating qualities,” she said. The collection incorporates local ingredients. Guests can also experience Hawaiian deep-sea salt, which Hoyt described as “a staple of life for ancient Hawaiians at Ka’upulehu, the land division where Hualalai is located, for hundreds of years.” Sea salt also has minerals that help draw toxins from the body. Aside from these central ingredients, the collection also uses Hawaiian-inspired ingredients like macadamia nut oil, coconut oil, Awapuhi extract and pineapple extract. These all aid in hydration and nourishment with anti-inflammatory properties. Hoyt said that sourcing from local farms and vendors assures authenticity, allowing guests to fully enjoy the sensory experiences knowing they too are supporting the community. Makana Honua was also developed with sustainability in mind. The 8-oz. bottles are refillable, PET recyclable bottles and also infused with EcoPure—an organic additive that helps plastics biodegrade through a series of chemical and biological processes in a landfill disposal environment. In addition, the bar soap belly band is made from 70% recycled cardboard. The Four Seasons Hualalai also shares this mindset, partnering with Clean the World to reduce and recycle discarded bars of soap. It’s all about creating not only enjoyable but impactful experiences for guests, who are becoming more and more conscious about not only the environment and their surroundings, but also, their own bodies. “People often forget that the skin is our largest organ; if we’re going to be mindful of taking care of ourselves, what we put on our bodies should be just as important as what we put into them,” Hoyt said. Hoyt explained the potential dangers of using chemically derived ingredients and synthetic fragrances, which these products are free from; they are also paraben and sulfate-free. “We see today more and more individuals with sensitivities than ever before. Using natural ingredients offers gentle, nourishing and aroma therapeutic benefits for the body and mind,” she said. Guests are not only interested in dodging potentially harmful ingredients like these, but are also putting a greater emphasis on wellness in general. 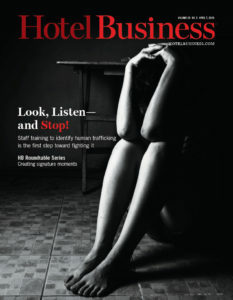 Hoyt said that especially while on the road, guests are no longer seeking a bathroom with basic amenities, but rather, spa-like sanctuaries with products that enhance sleep and offer restorative benefits.